IF you were waiting for the surprise hit action film, Baby Driver, to hit HBO or Starz, think again . It premiered over on Showtime, the network I don't get! Phfft . I guess I'll wait until it hits a network somewhere else . Well crap! 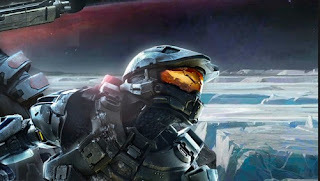 Halo, a series based on the video game, which I have been looking forward to for quite a few years since I heard it was being put together, is coming to Showtime, some point in 2019 . An animated Ultraman & Kengan Ashura, is headed to Netflix this spring . Wilmer Valderrama, who plays Special Agent Nick Torres on NCIS, is returning for the upcoming 16th season and has a two-year deal that will carry him into the 17th season, if there is one . WWE Smackdown Live is moving to Fox starting in October of 2019 . Aggretsuko was renewed by Netflix . Animal Kingdom, the Sons of Anarchy wannabe, was renewed for a 4th by TNT . Claws was renewed for a third season by TNT . Dear White People got a third season from Netflix . Gordon Ramsay's 24 Hours to Hell and Back was renewed for a second season . The Terror was renewed for a 2nd season by AMC . Champions was dropped by NBC . Famous in Love was canceled by Freeform . Ghosted was canned by Fox . Six, on History, will not go a third season . Timeless was canceled by NBC . Bachelor in Paradise will return on Aug 7th on ABC . Mayans MC, the Sons of Anarchy spinoff, is premiering on Tuesday, Sept . 4 on FX! Ultimate Summer Cook-Off premieres on Food Network on August 5th .